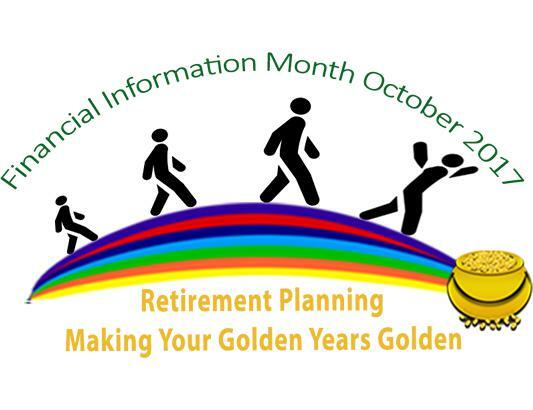 The Eastern Caribbean Central Bank (ECCB), in collaboration with the Financial Information Month (FIM) partners, will host a Retirement Symposium at the St Patrick’s Co-operative Credit Union Conference Room, Brades, on Thursday, 26 October, 4:30 – 7:30 p.m. The Symposium is open to the public and targets employed individuals in the public and private sector, including the self-employed and who span various stages of their working career, from start to within five years of retirement. The sessions are designed to provide information and practical strategies that will motivate the participants to start planning for their retirement and practice personal financial management. The sessions also seek to increase the participants’ understanding of the principles of Estate Planning and the importance of preparing a Will. The symposium forms part of the activities for Financial Information Month (FIM), October 2017. FIM is a regional financial, economic, business and entrepreneurial education campaign that has been executed in the Eastern Caribbean Currency Union (ECCU) since 2002. Persons wishing to attend the FIM Retirement Symposium are required to register at the ECCB Agency Office at Tel No: 491 – 6875/7. Registration fee is only $20. Seats are limited.